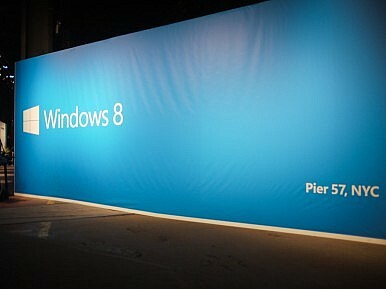 Windows 8 Blue: Release Date? Start Button Return? PC Savior? Can Windows 8 “Blue” help boost PC sales? Will Microsoft bring back the Start Menu? The Windows 8 operating system has attracted a tremendous amount of mixed opinions ever since it was launched, about six months ago. Users who have spent some time with the OS have found it both functional (on tablets) and rather annoying (on desktop machines without touchscreen support). And although it sounds impressive, Microsoft has been disappointed by the 100 million licenses that have been sold since the new platform was released. PC sales have also declined in the past few months with some speculating that flaws in the latest MS operating system are the cause. Whichever the case, the situation might change once the Windows 8 “Blue” update goes live. Do you happen to own a Windows 8 machine? Have you been disappointed by some of the new features, or lack thereof? If this is the case then you might be interested to find out how the “Blue” update could improve your experience with Microsoft’s latest OS. According to users, two of the most annoying characteristics of Windows 8 are the lack of the familiar Start button and the fact that the system can’t be booted into desktop mode. Instead, the user is greeted by the a new interface that seems to be more touch-screen-centric than anything else. “We feel good that we’ve listened and looked at all of the customer feedback. We are being principled, not stubborn“. Although there’s no clear indicator of what changes will be implemented with the Blue update, the lack of a start button has been one of the most cried-over changes. That being said, if Microsoft intends on bringing any improvements that would be tailored according to customer feedback, the addition of a Start button would be one the best places to start with. Microsoft has already successfully addressed certain issues as roughly 740 Windows 8 updates and tweaks have been implemented since the OS was launched. Digging into the past, the UAC (User Account Control) feature present on Windows Vista has been one of the most hated characteristics of the respective OS, but Microsoft listened to the feedback and Windows 7 delivered a better experience. Let’s hope the company will do the same with Windows 8 and its Blue update. With rumors indicating that Microsoft is planning on launching a new Surface tablet that would have a smaller display than the current models (RT and Pro), the increased flexibility brought by the Blue update makes sense, not only for MS, but for other tablet manufacturers as well. Asus’ CEO Jerry Shen has recently revealed to the Wall Street Journal that he expects smaller Windows 8-powered tablets to hit the market by the end of the year. He also anticipates that these slates will be retailed at a price lower than $300. I’m fairly sure that the majority of Windows 8 users are eagerly awaiting the arrival of the so-called Blue update. Any improvement is always welcomed, and when some of the most frowned upon concerns are expected to be addressed, you can sense a feeling or relieve and excitement. On short, Windows 8 Blue (or Windows 8.1) will go live “later this year”. We’re well aware that this timeframe could mean anywhere between one and six months, so we’re not going to leave it at that. What we’ve learned from Tami Reller is that Microsoft will unveil more details about the Blue update in the coming weeks. There will be two main news updates in the future, one of which will address the official name of the update, packaging and pricing. The second news update is expected to take place before the end of June and will address the technical vision of Blue. In any case, it’s pretty obvious that the update will not go live earlier than Microsoft’s developer conference in San Francisco which will take place between June 26 and June 28. We’d like to hear from you in the comments section, so don’t hesitate to share your opinion about Windows 8 and the Blue update. What other improvements would you like to see in the future?